“The country’s new president, Joko Widodo, generally known as Jokowi, hopes to change that with help from his new education secretary, Anies Baswedan, a former university president and creator of a programme that sends graduates to teach in remote areas. Three ministries …. The education ministry oversees state primary, junior and secondary schools; the religious-affairs ministry has control of madrassas, or Islamic schools; and the president has now made the ministry for research and technology responsible for universities and polytechnics. Whereas primary-enrolment rates in richer districts are close to 100%, in some poorer districts they remain below 60%. Nor are teachers evenly distributed. What matters is how well teachers perform in the classroom, and encouraging students to think critically. Mexico, Colombia, Nicaragua, El Salvador, Honduras, Caribbean Region (Trafficking). Market Reform. Opening up Markets. Stable Democracies. Peace with Rebel Groups. Colombia: Government – FARC Peace Deal. Denuclearization of North Korea. Rebuilding North Korea. Establishment of Democracy in Hong Kong. Challenges of opening up Media. Promotion of Freedom & Liberty & Free Speech. Security in Eastern Europe: Moldova, Georgia, Lithunia, Latvia, Ukraine. Integration of Eastern European Nations into European Union (EU) and Euro. Integration of Russia into European Union (EU). Gold Smuggling Control. Money Laundering Control. Changing the Hearts & Minds of Extremists. Agricultural Development: Agricultural Technologies, Flow of Information, Biotechnology. Peace & Security in Somalia, Central African Republic & South Sudan. Peace & Security in the region. Rebuilding of war-torn Syria, Iraq & Libya. Establishment of Democracy in Oman. Iran Nuclear Deal (Complete Deal – July 2015 – Hopefully). Proposing a model of Interim Government for holding free and fair elections in Syria – when there are opposing groups and parties. The Model led to formation of close ties among previously opposing groups Hamas and Fatah and the Historic Hamas – Fatah Interim Government. 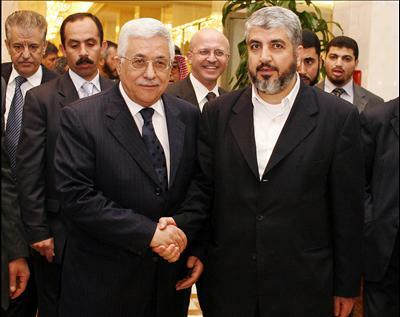 Hamas and Fatah are united with the goal of establishing “Palestine as an Independent Nation”. We deplore this act of terrorism in India by separatists.